I love it when a drama’s over, the credits are rolling, and I’m all smiles. Don’t wait any longer to begin this show. It’s out now in its entirety and my advice to you is – make it the next Kdrama you watch. Entertainer is absolutely wonderful and does just what its title suggests – entertain. How’s that for a review? Shin Suk-Ho has been employed at KTOP for years, working his way up from manager to director. But he wants more. As the contract for Jackson, the top grossing boy group, comes up for renewal Suk-Ho tells the CEO, Lee Joon-Suk, he is leaving to start his own entertainment company, Mango Entertainment, and taking the boys of Jackson with him. That’s fair, since he is the one that discovered them and made them stars in the first place. Lee Joon-Suk acts like he wishes Suk-Ho well but he’s not about to watch Suk-Ho’s agency exceed KTOP by taking his top money makers. And so the evil plotting begins. Because of a literal accident, Suk-Ho’s company might not even get off the ground. He needs money and he needs it fast so he heads to Busan to ask a friend for a loan. While there, he hears a jingle for a school that pulls him out of his slump and gives him new determination for Mango Entertainment to succeed. He’ll find the young man that belongs to the wonderful voice and make him the country’s top ballad singer! But when he finds his “future idol” he’s more than a little taken aback at the fact that the boy, Ha-Neul, has a sexual assault record and doesn’t want to have anything to do with singing any more. However, Ha-Neul finally agrees to sing again under one condition, he’s part of a band. So Suk-Ho sets out to find and recruite people to back up his new singer. Luckily, he discovers three very talented musicians who are willing to join the band – a single father of a five year old boy, a Juilliard drop-out, and an extremely brilliant university bound teen who has to hide the fact that he plays the drums from his mother. And don’t forget the lead singer who has a criminal record. Yikes! Will Suk-Ho be able to make his little band of misfits into stars before his new business goes belly up? As I watched the show I likened Shin Suk-Ho to Ebenezer Scrooge. Both begin their story hell bent on being the best in their business with the attitude that if they can’t get there honestly, it won’t hurt to cheat a bit. But as their stories go on, both men have to face their unscrupulous side head on and the changes they make in their character is nothing short of amazing. I wasn’t sure whether Jo Ha-Neul is the type of person that doesn’t like to rock the boat or is just plain passive. He’s a forgiving young man and an understanding friend. Ha-Neul is musically gifted with an amazing voice and a wonderful talent for songwriting and he’s wanted nothing more than to sing ever since he was a kid. Kyle, also known as Lee Bang-Geul, is so musically talented he was admitted to Juilliard (a prestigious performing arts conservatory in New York City) and majored in classical guitar. He is outspoken and bold but has a sympathetic heart at times. He’s the second person recruited to be in Entertainer Band. Third to join the band is Na Yun-Soo. He’s a 25 year old single father with a darling five year old boy. Youn-Soo adores his son and works at a karaoke bar at night, his son sleeping in back rooms while he performs. He is humble, kind, and the mature one of the bunch. Entertainer Band’s drummer is Seo Jae-Hoon. He’s been groomed for greatness ever since he was a small boy, his mother insisting on him having special tutors so he could be at the top of his class. As a result, he’s very intelligent but quite sheltered. His mother has no idea he’s part of Entertainer Band. Jung Geu-Rin left college to work several part-time jobs so she could financially take care of her little “brother”, Ha-Neul, when his parents passed away. She is very protective of him and puts her all into whatever she does. Although Ha-Neul’s parents were against him singing, Geu-Rin is supportive and encouraging in helping him follow his dream. Beautiful and clever Yeo Min-Joo has been friends with Shin Suk-Ho for ten years, both working in the music entertainment business. She quits her job to work for Suk-Ho when he starts his own entertainment company. KTOP’s CEO is Lee Joon-Suk. The guy is manipulative, controlling, and determined to be the king of the biggest, most wealthy entertainment company in the business. Breaking the law and hurting others is not a big deal to Joon-Suk. Kim Joo-Han is Lee Joon-Suk’s assistant at KTOP, seeing to it that his boss’ orders are always carried out. He runs interference hoping to avoid bothering Joon-Suk with anything that has not gone according to plan. Ji Sung’s done it again! The man is a Kdrama wonder! I don’t want to work him to death but if I had my way he’d start filming another show the minute he’s finished the one he’s in. Just as he made us laugh and cry in last year’s Kill Me, Heal Me he pulls off the same amazing acting feat in Entertainer. He shows emotion with his teasing smiles and heartbreaking tears unlike any other actor out there. He is the character he plays. He makes the role his own and becomes the person he’s portraying. His performance at the beginning of episode 15 is nothing short of award-winning perfection! 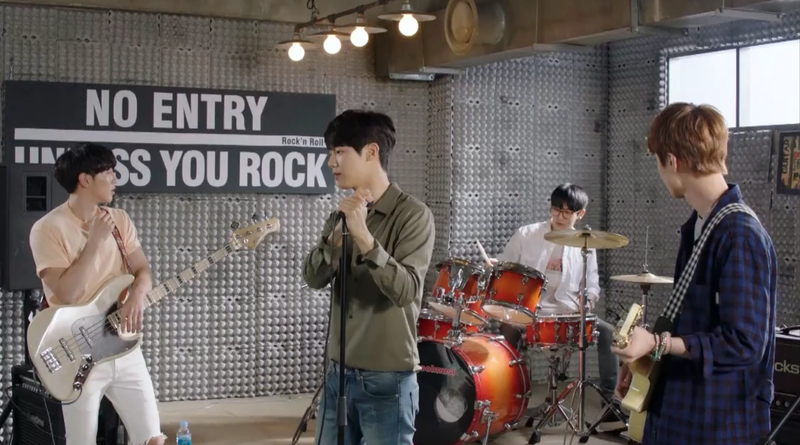 Kang Min-Hyuk (Jo Ha-Neul) debuted as the drummer for the Korean rock band CNBlue, of which I am a humongous fan. He’s also been in a handful of Kdramas, two of which I’ve seen – Heartstrings and The Heirs. Gong Myung (Kyle) is is a member of the group 5urprise. He’s been in four feature films, two webdramas, and although this is his third Kdrama it’s the first thing I’ve seen him in. Entertainer is Lee Tae-Sun’s (Na Yun-Soo) debut. I tried to find out more about him but came up empty. He was perfect in the role of sweetheart Na Yun-Soo and I hope we get to see a lot of him in days to come. L.Joe (Seo Jae-Hoon) is a member of the Kpop group Teen Top but he doesn’t just sing, he’s also stretched his wings and added acting to his talents. He’s been in one movie and two other Kdramas. In 2010, two months after the group Girl’s Day debuted, Lee Hyeri (Jung Geu-Rin) became a member and began her career as a singer and actress. She attended Seoul School of Performing Arts and has gone on to major in Film at Konkuk University. 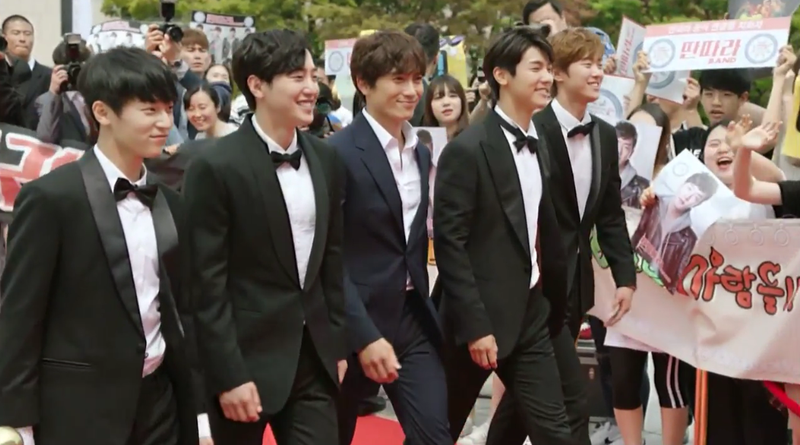 Entertainer was originally written to include just 16 episodes. By then, all of the major issues in the plot have come to a close and it would have been just fine to end it there. However, due to the public’s positive responsive to the show, decent ratings, and the fact that the next drama in line to air, Wanted, was having some casting problems, SBS decided to lengthen Entertainer by two episodes. Does the extra two hours mess things up, storyline wise? Not at all. In fact, it gives us a chance to see further into the private/personal lives of the characters. The original ending (episode 16) concludes with an “Awwwww” warm feeling, whereas 18 finishes off the story with a bang. I was very impressed with the director of this drama, Mr. Hong Sung-Chang. I’ve seen a few other things he’s worked on – You’re Beautiful, The Lord of Dramas, Kang-Koo’s Story – but this is, in my opinion, his best. I guess it’s true that the more you do something the better you are at it. The camera angels are fresh and different. There are many shots looking down, like we’re seeing things from a bird’s eye-view. In one scene he focuses on shoes as the character begins to walk. It’s a great metaphor showing us the first “step” of walking away from or towards something, both emotionally and physically. In other words, Hong Sung-Chang covers this story completely, top to bottom. You’d expect a drama whose storyline centers around the Kpop industry to have decent, enjoyable music – and it does! The characters are in a band, so there’s not any Kpop style dancing going on, but the music is very good. Entertainer Band mostly concentrates on two songs throughout the entire 18 episodes, I See You and You Can Cry, with a few others sung quickly here and there. You might think that gets monotonous after awhile, but it doesn’t. I was hoping to hear them sing more of a variety of songs but the fact that they just mainly stick with the two isn’t all that disappointing. The scenery is perfect for the storyline. Shin Suk-Ho travels to Busan where, Ha-Neul and Geu-Rin live, so we get to see distant shots of the ocean which is something different from the usual sights of Seoul. The contrast between the expensive, humongous, and elaborate KTop building and Suk-Ho’s small, start-up Mango Entertainment office and warehouse-like rehearsal studio subconsciously gives us more reason to root for the underdog and boo the heartless “big guys”. Entertainer is a Kpop version of A Christmas Carol – heartless guy turns all loving and selfless. It’s a “feel good” drama worth every second of its 18 episodes. You’ll love it. And once again… Yeah, Ji Sung! Thank you. I do my best to bring you accurate Kdrama information in my reviews.